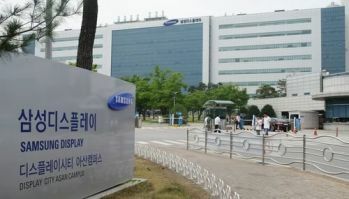 Back in July, there was a report from Korea stating that Samsung Display's CEO wants to expand OLED sales into the Chinese market in a move to diversity and expand the company's OLED customer base. Following Samsung Electronics relatively weak smartphone sales, this is not surprising. Now there are reports from Chinese media stating that SDC is indeed talking with Chinese smartphone brands for OLED supply deals. According to those reports, Huawei and OPPO are interested in those displays and we should expect AMOLED smartphones from those two companies soon. Of course SDC already supplies AMOLED displays for many smartphone makers besides Samsung Electronics - for example Nokia, Motorola, Blackberry, Pantech, BLU and Gionee. Oppo already released an AMOLED phone back in 2012 (the Oppo Finder, 4.3" Super AMOLED Plus), and so did Huawei (the Ascent P1 S, with a 4.3" qHD Super AMOLED). But it seems that SDC is now pushing for more design wins and will be able to supply higher volumes of their latest generation panels to the Chinese companies.